One of the links I found included the photo credit with a tale about another photographer who spoke with the farmer. Also, if you google the number on the plane (xx164) you will find this page. 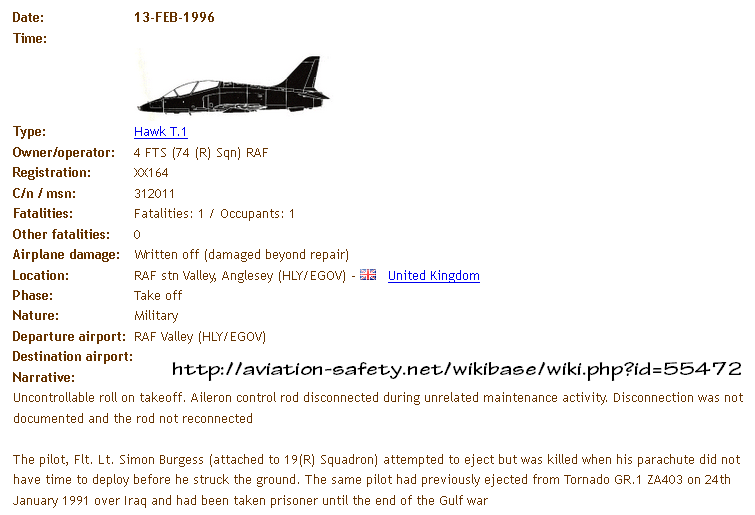 It details the demise of the plane in the photo.It crashed on take off in February 1996, the pilot tried to eject but was killed due to his parachute not having time to deploy. 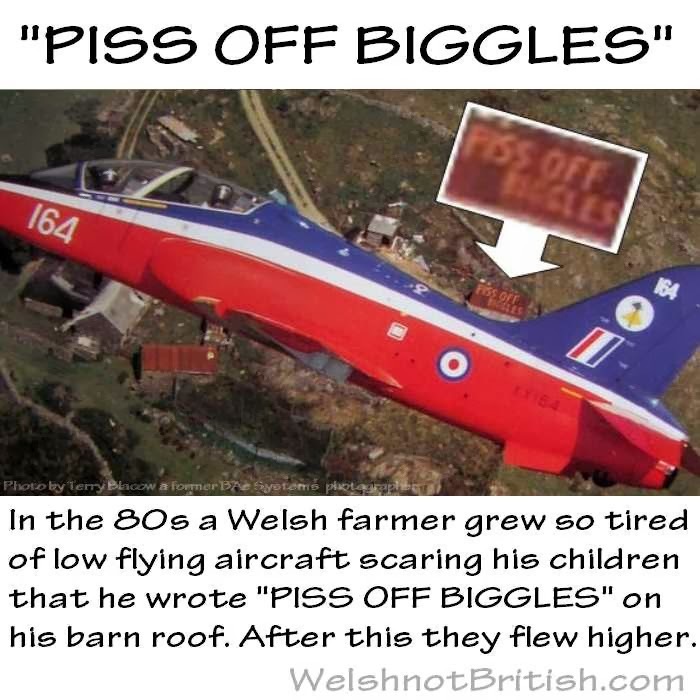 It's hard to feel any sympathy for the pilot involved since it happened in Wales, which has been under the military occupation of the English for around 800 years. If anything we should be thankful that it was only the pilot that was killed. And it's not just Valley on Ynys Mon, there are over 140 sites in Wales under the military occupation of the English MOD. 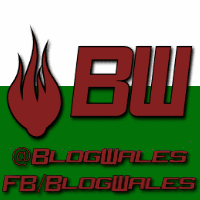 There is a detailed report from "Cymdeithas y Cymod" here (.pdf). But here's a small excerpt. 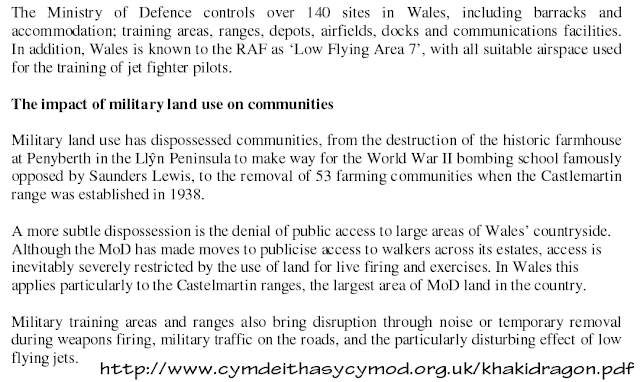 A small sample from "Cymdeithas y Cymod" report here (.pdf). So isn't it time we told all factions of the English military to piss off home. Their imperialist occupation has gone on for far too long. And the next time one of their planes or drones crashes it could be on a Welsh school.